3 Bedroom Terraced House For Sale in Bolton for Offers Over £110,000. ANOTHER PROPERTY SOLD!!! 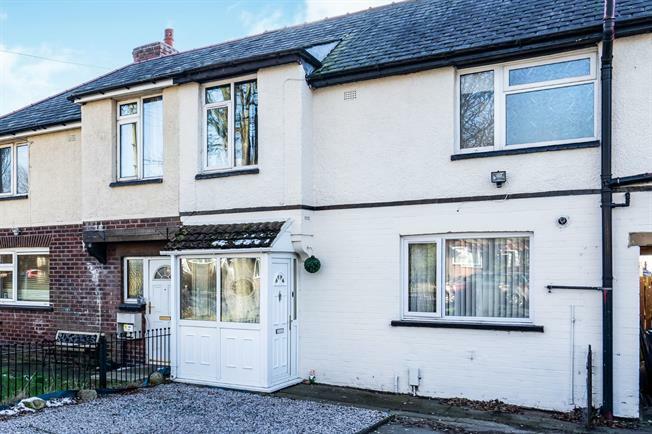 WE HAVE BUYERS LOOKING FOR SIMILAR PROPERTIES A real credit to the current owner, this lovely family home is presented perfectly and boasts two doubles and a very good sized single bedroom. The kitchen has been developed to provide a convenient breakfast bar and a utility room with downstairs wc. There is an outbuilding to the rear providing useful storage and a large driveway with parking for several cars. Tiled flooring, tiled splashbacks, ceiling light. Radiator and electric fire, laminate flooring, ceiling light. Radiator, tiled flooring, tiled splashbacks, ceiling light. Roll top work surface, wall and base units, single sink and with mixer tap with drainer. Radiator, tiled flooring, ceiling light. Low level WC, panelled bath, shower over bath, semi-pedestal sink. Wall tiles.